I made this thread to cover the NES Classic releases on the GBA in Japan and North America. 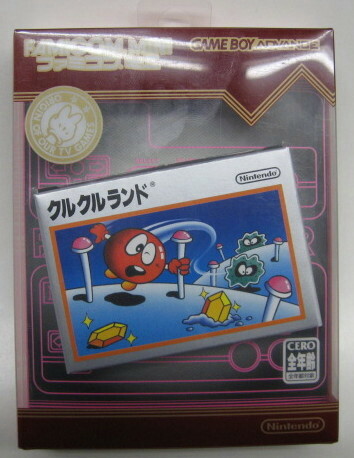 So I bought Star Soldier for the Famicom Mini series from Japan. I was floored when I opened my box from play-asia. 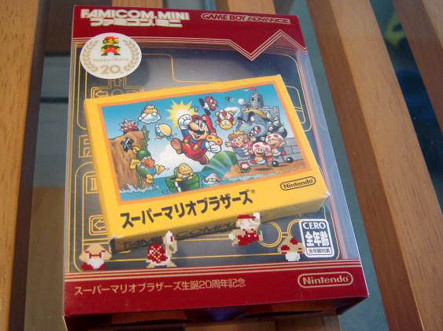 The packaging for the imports of the Famicom Mini releases are un-believable!!!! They come inside of a clear plastic encasing, with a pull tab on it for hanging on a rack. 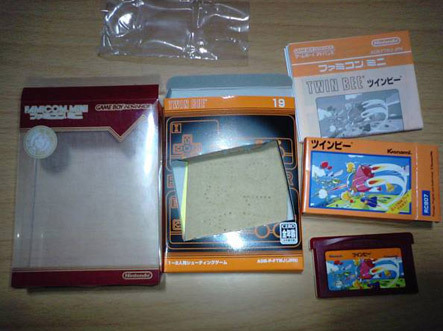 Inside of this case, is a cardboard backing with a center indentation, and then a center groove in that cardboard which holds another small cardboard box that contains the GBA cart. This smaller cardboard box looks like the NES cart. I have to buy all of these now. The packaging is simply amazing. 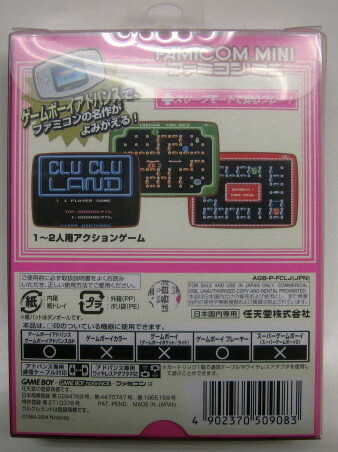 The plastic outer case actually has printed famicom designs on it also. Its not a hard plastic, but a flexible plastic. that sounds really cool. Yea, pictures would be nice. Also, do import gba games work on us version gbas? Also what is star soldier about? It a good game? I never heard of it. I guess I will talk about my nes classic gba games since you want to keep that in this thread. I have dr.mario and excitebike out of the nes classic games. Dr. mario is really awesome having on a handheld. It also has a save feature for your high score which is very nice. It has a sleep mode too, so you can conserve your battery and leave it on and finish up a game later. I was less impressed with excitebike. Perhaps it was more fun back in the day, but I found it kind of boring. Now there are tons of flash games that are just as good or better than it. Ok guys here are some pics. I didn't take these. Instead I scrounged around on Yahoo Japan for some good shots. Saved me some time. As you can see, the packaging on these is pretty involved. I cannot stress to you how nice they look mint and on display. Notice the pull tab in the last picture for hanging it up on a rack. It is not stickered onto the casing, but is part of the actual case itself. ya, that looks pretty awesome. Nice how the very outside case is plastic so it can keep the cardboard parts looking nice. it's an interesting design, i like how the game is off-center and the clear plastic with the cardboard gives it a layered look.